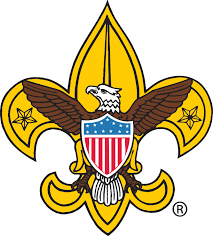 Scouts BSA Troop #281 (for boys) meets every Tuesday night at 7:00 p.m., led by Scout Master George Cook. In summer, they meet at a nearby camp building on Elkhorn Creek; for the rest of the year, they meet in Ascension's Parish Hall. This is a very active troop. Check us out on Facebook: https://www.facebook.com/troop281ky/. Contact Craig Aossey (caossey@gscottarch.com) for details about the boys' troop. Scouts BSA began allowing girls to join and form all-girl troops on February 1, 2019. We already have a handful of girls in Frankfort who are interested, as well as a strong group of adult leaders. New Scouts BSA Troop #1281 (for girls) was chartered in the first week of February, sponsored by Ascension, affiliated with existing Troop #281 for boys. Girls who are age 11-17 on February 1, 2019, may join the new troop; five girls are already signed on. 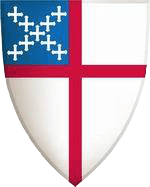 They will meet in Ascension's parish hall weekly, on Mondays at 6:00 p.m. Check out this televised interview with the troop sponsor and her daughter. Interested girls and their parents/guardians are invited to contact Natalie Lile at 502-229-8403, (natalie@lilelaw.com). For the first time in its 100+ year history, the iconic program of the Boy Scouts of America was opened to young women as of February 1, 2019. Scouts BSA is a year-round program for boys and girls in fifth grade through high school that provides fun, adventure, learning, challenge, and responsibility to help them become the best version of themselves. CLICK HERE to visit the Scouts BSA web site for more information!